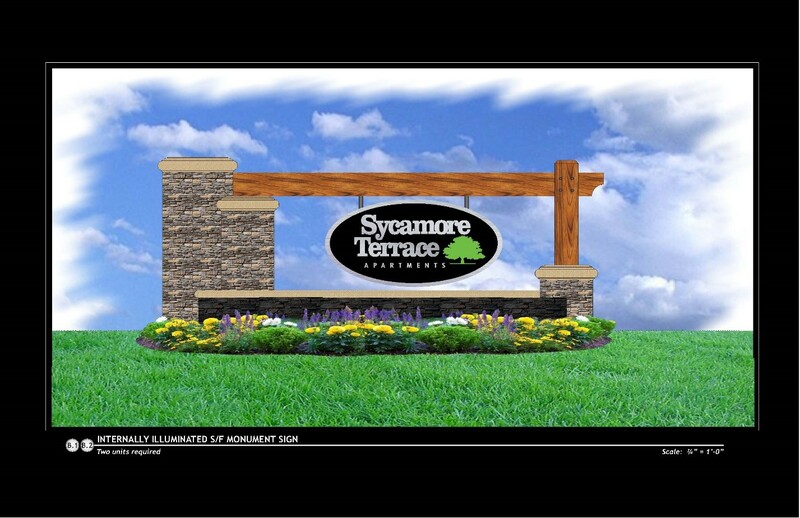 Temecula, California (September 5, 2016) – Sycamore Terrace Apartments in Temecula, CA debuts all-new designs for three different monument signs that are currently under construction. Under new management for several years now, the company and the property itself have undergone numerous changes. Chief among those is the complete remodel of each apartment with key features such as new flooring, new granite countertops, dual paned windows, and much more. Now, new signs throughout the property will complement these luxurious changes and reflect the exciting direction the company is taking. As of now, the remodeling project still continues. Management wanted to make sure that all apartment units are thoroughly upgraded to meet modern standards in Temecula. And with remodeling almost finished, updating the signage is now a top priority. The company is going for a modern look which would give valued residents the satisfying feeling of calling Sycamore Terrace Apartments their home. According to Ciera Urso, Assistant Property Manager at Sycamore Terrace Apartments, the current monument sign being used today has not been updated since the property was built, which was roughly 30 years ago. To portray the company’s new image, both the owner and property manager had an active hand at the design process. With help from professional architects, a new design has been created to perfectly represent what Sycamore Terrace Apartment now offers to both existing and potential residents. Management expects that the new monument signs would make a drastic difference for the entire community once construction has been completed. Three monument signs will be placed strategically in different locations around the property. The one pictured will be at the main entrance on Margarita Road. Another will be at the corner of Via La Vida and Margarita. The last one will be at the other entrance on Via La Vida. The new construction is projected to finish before the end of the year. Also part of the project is a re-landscaping of areas where the signs will be placed to complete the new look. Sycamore Terrace Apartments offers 1 bedroom and 2 bedroom apartments. With 13 acres of lush greenery, 2 pools, spas, a fitness center, a clubhouse and other enticing amenities, the property is the ideal community for living at the heart of Temecula. Aside from apartments and quality lifestyle homes, the company also offers management services.